Courage is what we’ve needed, and will continue to need, over the next few months. After almost ten years living in the UK we’ve made the monumental decision to wrench up our anchor and set sail, destination Canada. It hasn’t been an easy decision to come to, and day to day our conviction sways from side to side, but the decision has been made and in May we set off on one of our biggest adventures to date. Why are we moving across continents if we aren’t completely sure about the decision, you might ask? That is a very good question, and one for which my answer would change from day to day. The main reason, and one for which my resolution never falters, is to be closer to family. 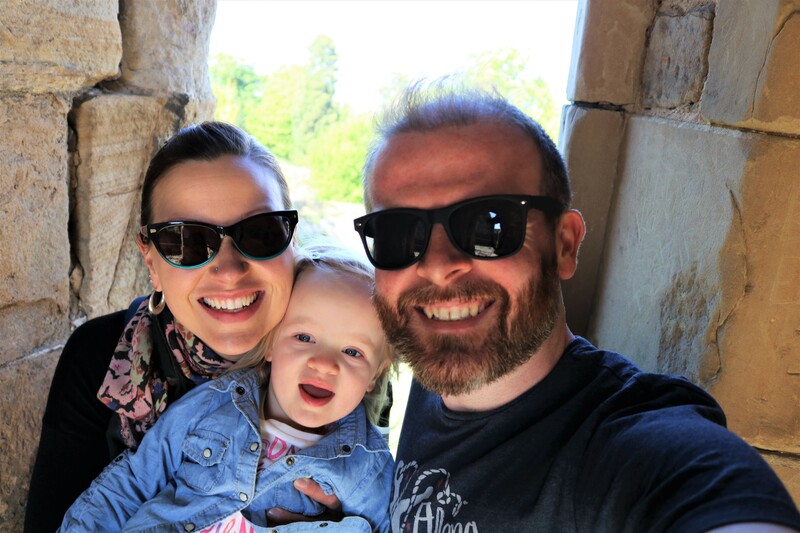 We currently live in North Wales, a place which neither my husband nor I are originally from, and since the birth of our daughter we have acutely felt the distance from our families. Unfortunately, being a cross-continental couple means that we will never both be able to live in our hometown at the same time, and this is definitely an issue that we’ve struggled with. If we’re close to one family, we’re far from the other, and vice versa. In the end we had to decide which country we thought offered the best lifestyle and opportunities for us all, and for now the answer is Canada. This isn’t going to be an easy move for any of us, and as our moving date draws closer and closer, my anxiety slowly increases. Everything we’ve known for the last decade has been here in the UK and transitioning to Canadian life is going to be tough. We’re going to miss our friends here desperately; a group of people that although we haven’t known for decades, we would both consider to be some of the best friends we’ve ever had. I’ll miss cake dates and yoga class meet ups. Damian will miss golf buddies and friends who get his sense of humour! The only thing holding me together is the confidence that these good friends will always be a part of our lives – the kind of friends you can be distanced from for ages but once reunited will feel like no time at all has passed. The next few months will be filled with all kinds of new experiences for us. New home, new neighbourhood, new friends (hopefully), new jobs, and, as always for us, new adventures! Visa requirements will limit our ability to leave Canada for a few months, so we’re planning to take the opportunity to explore the great white north. We have no concrete plans yet, but I imagine there will be some roadtrips in our future! Until then, it’s back to packing up a decade of memories into two hundred cubic feet and praying that all of my dishes arrive in one piece (what are the chances?). If you have any international moving tips please feel free to pass them along. We need all the help we can get!